Since 1989, Orange County Government has managed a fun and educational program designed to allow citizens to make a positive impact by enhancing the cleanliness of Orange County roads. 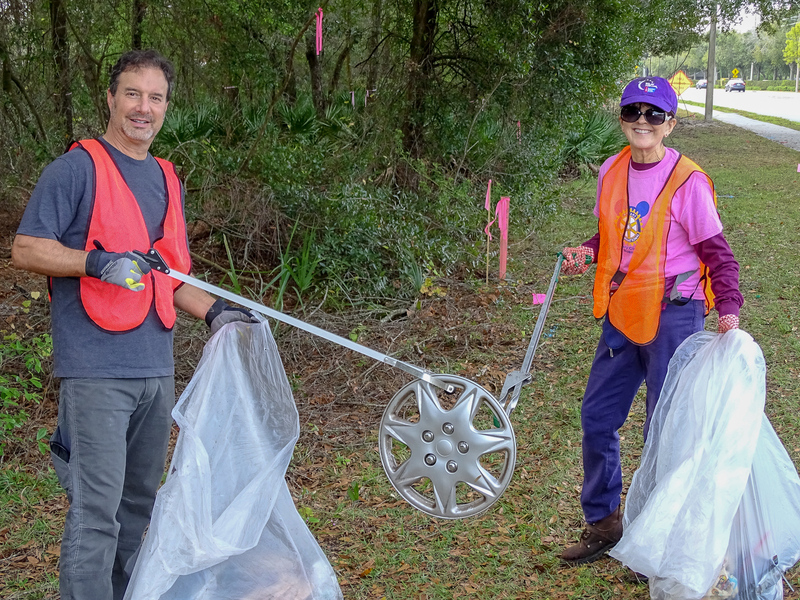 The Adopt-A-Highway program was conceived in response to roadside littering that was creating an eyesore for residents and visitors to Central Florida. Adopt-A-Highway is managed by the Orange County Public Works Department, Roads & Drainage Division. Public Works is responsible for processing all documentation and coordinating with the various participants, as well as scheduling cleanups, conducting safety meetings and providing the safety vests and trash bags for volunteers to use during the cleanups. The County also picks up the collected litter at specified locations and posts Adopt-A-Highway signs acknowledging the sponsor at the beginning and end of their section of the road. Sponsors are committed to removing litter six times a year for two years on a minimum of half-mile segment of county road right-of-way. They also need to attend a safety meeting given by the highway foreman of the participating maintenance unit. Once the safety meeting is completed, participants arrange and schedule an appropriate litter removal cleanup date with the maintenance unit foreman every eight weeks. The southwest Orlando community has adopted more than one road over the years and considers its involvement beneficial to the growing region. The Trinity Christian School Junior Beta Club first became an Adopt-A- Highway sponsor in 1991, cleaning a section of Roger Williams Road between 436 and 441. Since then, it has remained active in the program. According to Edith Bentley, band director and Junior Beta Club sponsor, it’s a great way for students to better appreciate the environment in which they live. Over the years, the Adopt-a-Highway program has been successful with cleaning up miles of roadway throughout Orange County, all thanks to caring residents who participate by volunteering their time. If you or your organization are interested in participating in the Adopt-A-Highway Program, contact the Orange County Public Works Department, Roads & Drainage Division at 407-836-7900 or 407-836-3111. Photo Caption: Local residents participate in picking up litter at Orange County’s Adopt-A-Highway program.